Honda Motorcycle and Scooter India Pvt. Ltd. has introduced the latest 360 degree ad campaign – ‘LOVE IS GROWING’ for the iconic Activa 5G, India’s No. 1 selling two-wheeler. Developed by Dentsu One, a Dentsu Aegis Network Company, the TVC is now on air across all popular channels. 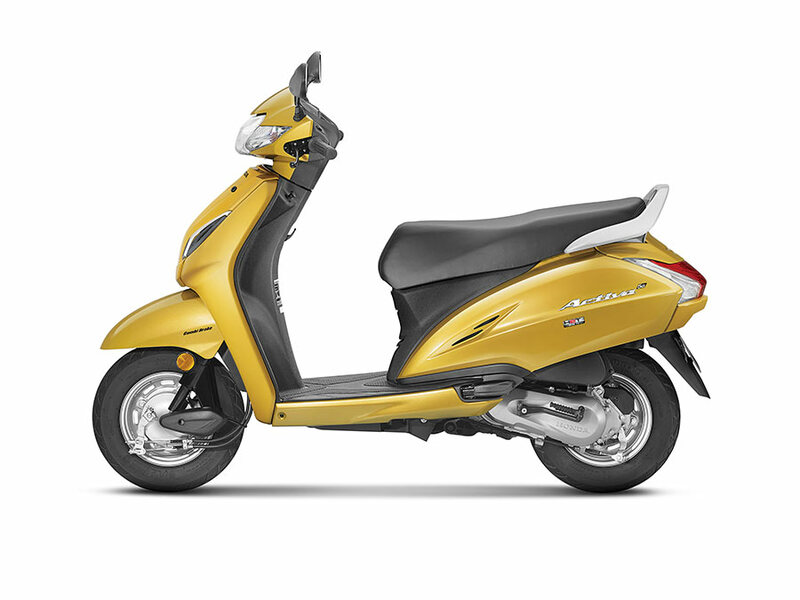 From its debut in 2001, Honda 2Wheelers India singularly started the scooterization of India with the iconic Activa on back of its two core strengths – advance technology and innovation. Activa’s biggest strength lies in its continuous evolution ahead of the time which has fortified its universal appeal that cuts across generations, geographies and genders. Now, transforming the way India rides ahead, Honda has launched the 5th generation ‘ACTIVA 5G’ which gets New Deluxe variant (with digital-analog meter, ECO speed indicator and Service Due Indicator), industry first features in 110cc segment (full LED Headlamp and position lamp), next-generation looks, 2 new colours, added convenience (front hook, 4-in-1 lock with seat opening switch, retractable rear hook) and higher durability (metal muffler protector). You may be a young college student or a middle aged professor, the feeling of love that Activa 5G evokes is universal. This is why, even 17 years and many generations later, ‘Love is Growing’ with the launch of latest 5th generation Activa 5G. Growing over its 17 year journey, Activa is the only scooter to overtake motorcycles and become India’s No. 1 selling two-wheeler brand. The icon is the “Most Trusted & Convenient” common denominator for 18 million plus Indians. The ‘Love is Growing’ campaign is unique in more ways than one. Here, the obvious, that is, the technology, new stylish design, advance features and added convenience which make Activa the leader are subtle but not the focus. Instead, the campaign takes a step further and celebrates how Activa is not just a two-wheeler but an emotion, that is, love which unites millions of Indian families and youth. Since the launch of Activa in 2001, the world has changed. Generations too have changed. But, India’s universal love for Activa keeps growing as the new generation Activa 5G excites both youth and families. Hence, the approach was to showcase Activa’s unparalleled universal appeal and love using daily life as the canvas. Giving an extra fun punch and emotional connect to the TVC is the story of main characters – Taapsee Pannu, daughter of college professor (Boman Irani) with many a comic twists. Honda’s ‘Love is Growing’ TVC starts with an establishment of a college campus. It is here that Taapsee enters riding the new Activa 5G with her father (Boman Irani) as her pillion. father and daughter duo (Boman Irani and Taapsee Pannu) riding the new Activa 5G to college. Boman character of a college professor’s bag has been placed on the footboard, attached to the new retractable rear hook. A group of 4 youth stop to notice the scene. The first says ‘Ye to wahi hai yaar’ to which the second replies ‘lagti to bilkul alag hai yaar’ to which the third friend adds “Bright like sunshine”. For the audience, the first impression is that students are infatuated with the pretty girl riding the scooter. But as the scooter draws nearer, it is realised the object of their fancy is the all new Activa 5G. The opening scene thus establishes the love for Activa is growing more with the new Activa 5G which looks and rides completely different. When Taapsee returns, she asks the boy what he was saying about the future. But once again, before he can reply, the professor returns. Such is the universal appeal and love of Activa that on the way back, Boman rides the Activa 5G. Meanwhile, new love is growing in real life too as Taapsee looks back and smiles at the boy while her father, Boman senses this. said Mr. Yadvinder Singh Guleria, Senior Vice President, Sales & Marketing, Honda Motorcycle & Scooter India Pvt. Ltd.
said Mr. Titus Upputuru, National Creative Director, Dentsu One. Activa has become an inseparable part of Indian families since its launch 17 years back. So many things have changed during this time but the love and affection for Activa has only grown and multiplied over the years. With this growing love across multiple generations, it was the right time to launch Activa 5G with a quirky campaign where the brand becomes the harbinger or catalyst to get two people to fall in love with each other. said Mr. Abhinav Kaushik, Senior Vice President, Account Management, Dentsu One.